A decision on whether to turn Mr. Trump’s tax returns over to Congress is expected to fall to the Internal Revenue Service and Mr. Mnuchin, whose Treasury Department oversees the tax collection agency. While Mr. Mnuchin has been fairly cautious in discussing the request, Mr. Trump and his top advisers have made it increasingly clear that they will not allow the president’s tax returns to be released without a fight. Mr. Mnuchin’s turn in the spotlight comes at a delicate moment for the Treasury secretary. Mr. Mnuchin, one of the longest-serving members of Mr. Trump’s cabinet, has been dogged in recent weeks by questions over his financial ties to the film industry, as well as questions surrounding the Treasury Department’s removal of sanctions against a trio of companies controlled by an influential Russian oligarch. 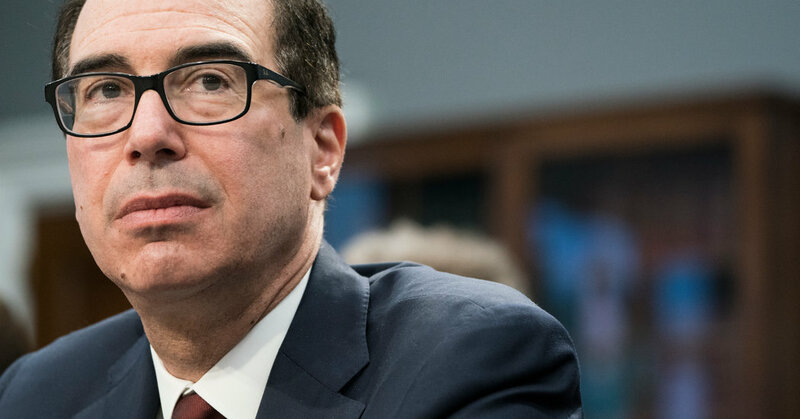 Mr. Mnuchin has also been at the center of Mr. Trump’s growing frustration with the Federal Reserve, which he publicly blames for slowing American economic growth. Mr. Trump has aimed much of his criticism at the Fed chairman, Jerome H. Powell, whom the president installed to the top job on the recommendation of Mr. Mnuchin. Mr. Mnuchin’s handling of the matter will be watched closely by Mr. Trump, who has kept his tax returns closely guarded despite promises as a candidate to eventually release them. Democrats are using a little-noticed provision of the tax code to request the documents, and the Trump administration has asserted that those efforts are outside the bounds of congressional authority and that the request is nothing more than political harassment. Last week, Representative Richard E. Neal, the Massachusetts Democrat who leads the House Ways and Means Committee, requested that the I.R.S. hand over six years of Mr. Trump’s tax returns.